Very unique and fun!! 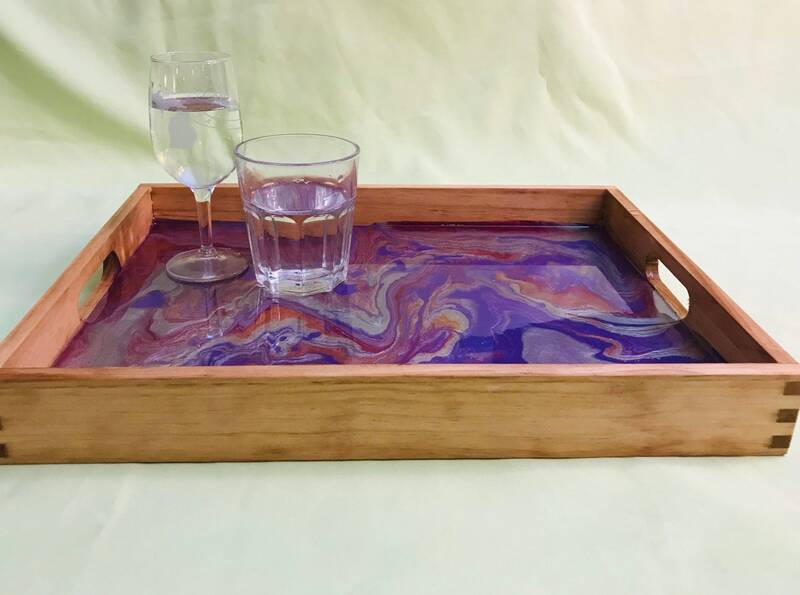 The tray is stained and polyethylene coated, pour painted and then resin finished. It is food safe and can be hand washed. The tray is 16 x 12.